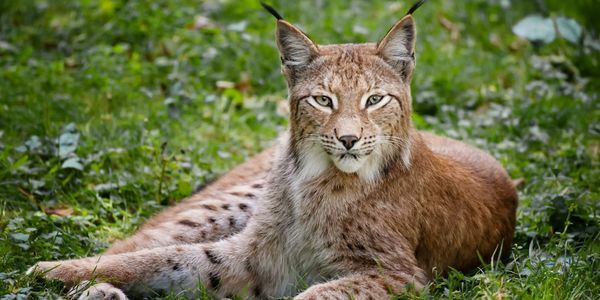 petition: STOP THE KILLING AND HUNTING DOWN OF THE LYNXCAT IN SWEDEN 2019, NOW! STOP THE KILLING AND HUNTING DOWN OF THE LYNXCAT IN SWEDEN 2019, NOW! We don't want anyone to kill the lynxcat, and we demand a stop to the hunting of these animals across Sweden, in different districts this year. This is their habitat. We have no right to kill them! Right now, the hunting of the lynxcats in Sweden is supposed to begin this year -- 2019. Officials have given permission to hunters, allowing them to kill 33 animals each during Spring 2019. The tracking down of the animals is set to start on 1 March 2019. The hunt will take place in different districts and at times we don't yet exactly know, so now we all need to take a stand and stop it. The Lynxes in sweden are about to get killed by the dozens! To be able to protect them, sign this petition now! We do not want this killing machinery and murdering to continue. No one should kill animals like this. Not for hunting-sports, or because they feel threatened by the species, or for profit. We need the government to change its mind, and instead of encouraging a bloodbath, to establish protections for the lynx's safety. Such hunts should be illegal because wild animals like the lynx are crucial to preserving nature's biodiversity. Many organisations are working on this issue, including WWF, Sverige, and Greenpeace. Authorities made this decision over citizens' heads and ignoring our pleas. We need help from people around the world now! We demand that authorities take action to stop the hunting down and the persecution of the Lynx Cat. Sign immediately to tell the Swedish government that you oppose this mass-murder and cruelty! The petition with signatures will then be administrated and sent to länsstyrelser in different districts around in Sweden as quickly as we can, before the authorities make more bad decisions too fast and above others' heads! Regards and thank you for your kind help and support! And save the planet 2019!